From the 2nd to the 8th of July, 2017, over 20 youth of the Western American Diocese participated in a youth workweek at Saint Silouan Monastery in Sonora, CA. 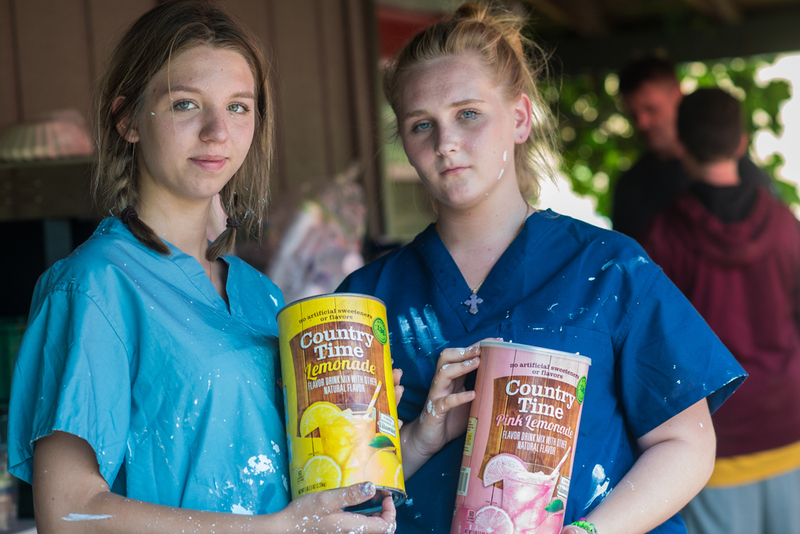 The guest community, which included adult staff and skilled workers, entered into the rhythm of monastery life rising at dawn daily for Divine Liturgy, working throughout the day and finishing with Small Compline. 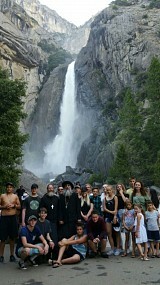 The youth had time for recreation as well cooling off at midday in Lake Turlock, about ½ hour drive from the monastery. 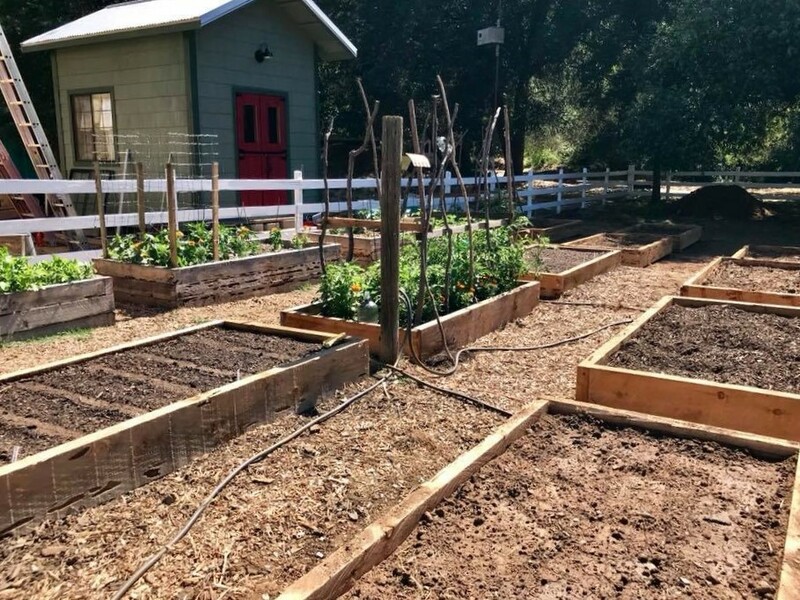 Various work projects were set before the youth like clearing trails in the monastery woods, prepping and painting fences, clearing the large garden area of building materials and rubbish, and constructing large boxes for growing vegetables. With the assistance of skilled professionals one new monastic cell was brought to near completion and a second was started with a foundation and frame. 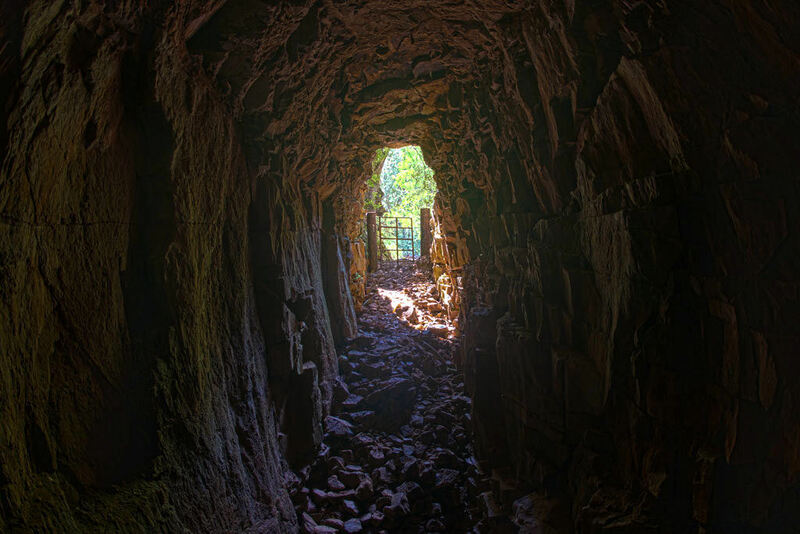 One intriguing job was the clearing of rubbish out of an old gold mine. There must have been over 40 years of trash in that shaft, which was perhaps unpleasant to remove. However, the temperature was at least 15 to 20 degrees cooler at the entrance to the shaft and inside. 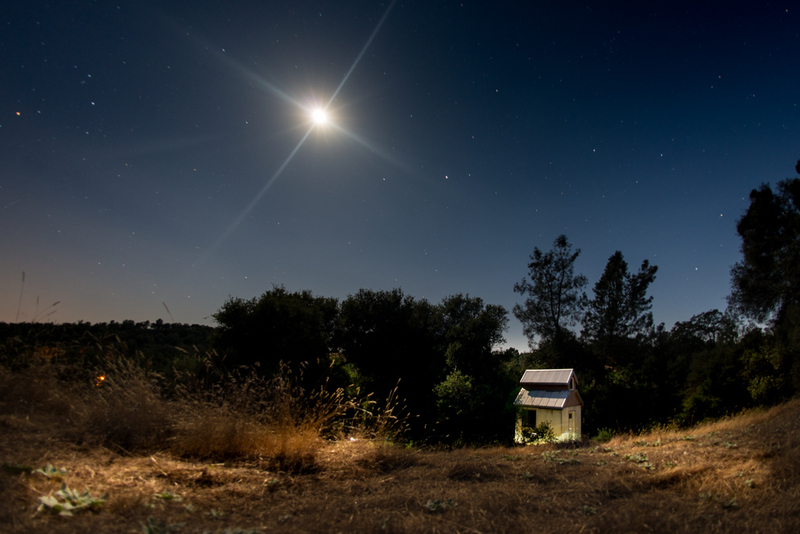 With triple digit weather every day, the assignment to work in the cave was welcome. 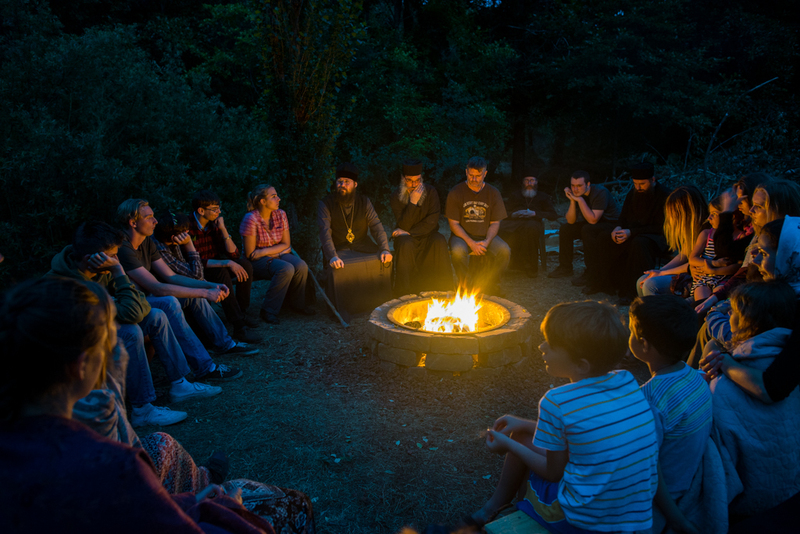 In the evenings the youth gathered around the campfire where spiritual talks were conducted by His Grace Irenei Bishop of Sacramento and the priests who also served the daily Divine Liturgies. 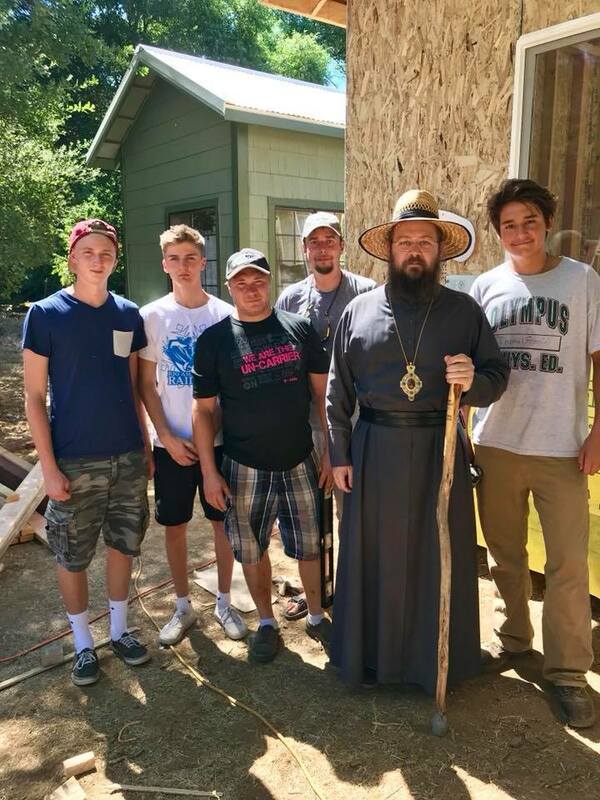 Many thanks to the clergy of our Diocese who supported the monastery and the youth workweek: Archpriest Paul Volmensky, Archpriest James Steele, Archpriest Martin Person, Priest Jesse Philo and Priest Philip Plowman. His Grace Bishop Irenei presided over the Divine Liturgy on the Feast of Nativity of St. John the Baptist, Friday July 7th. On that day Deacon Andrei Garine concelebrated representing office of the Diaconate. It must be said that the youth worked with dedication and the projected aims were met by Thursday of the workweek. 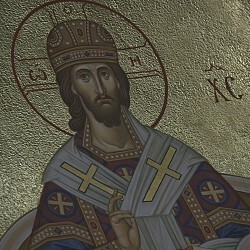 Therefore, Friday became a day of recreation filled with an early festal Divine Liturgy, a trip to Yosemite and swimming in the evening. Almost all of the participants, both young and old, responded to the youth workweek positively, and actually most requested to repeat a similar week right away in August of this year. This is a pointed demonstration that our Orthodox youth want to serve the Holy Church by devoting their youthful vigor and enthusiasm to doing something practical. Much gratitude is extended to the organizers and sponsors (who helped defray expenses) of this pilot project. The young people of our Diocese had an opportunity to pray and work together, creating common bonds and dear memories. In years to come as they revisit the monastery, God willing, they will see standing and in use things they worked on with their own hands.